Kizuna Todoroki is a young girl who fights using the teachings of the Wadachi Ju-ken school. After winning a big tournament, the day still isn't over for the Kizuna's family. 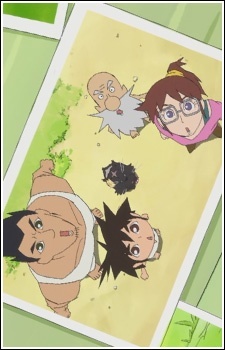 Kizuna's family are visited by a woman journalist for an interview but are interrupted by a new group of challengers. The Agency of Cultural Affairs of Japan invested 214 million yen ($2.26 million) in "Young Animator Training Project" and entrusted the execution of the project to Japan Animation Creators Association (JaniCA). JaniCA will produce four original anime (23 min long with OP and ED sequences) in cooperation with four production studios. Kizuna Ichigeki is one of these four projects.